I like how these two work well together on the wall. and a bit of abstract. Glad you are doing well and have fun things to do, that keeps us going, right? Loved looking at your art, always beautiful. It's so important to have a creative group to have fun with! We have a local Art Play Date for adults once a month and I look forward to it every month! Lovely work too by the way! Happy PPF! I love your beautiful portraits! Hi, Nicole. 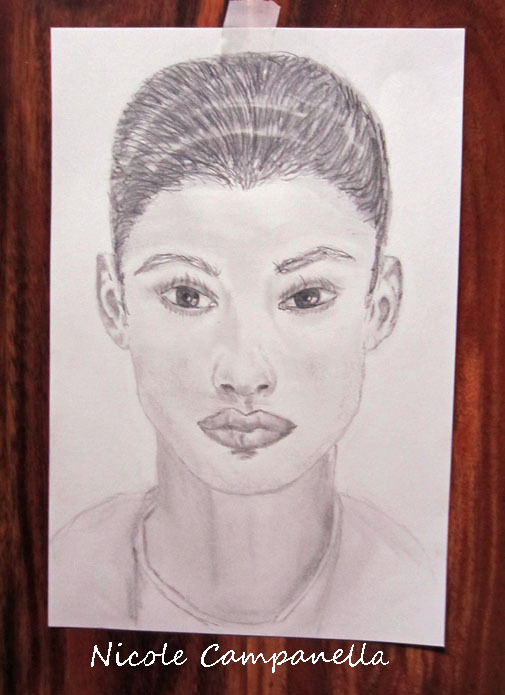 Your drawings are so good. I'm sure you'll enjoy the craft fair. 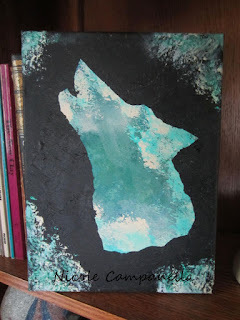 I love your wolf silhouette paintings; so cool and creative. Both of those have some serious attitude :D And the silhouette does look great with the other one. I also like the colours in the abstract. Busy week, but productive :D Thanks for sharing. 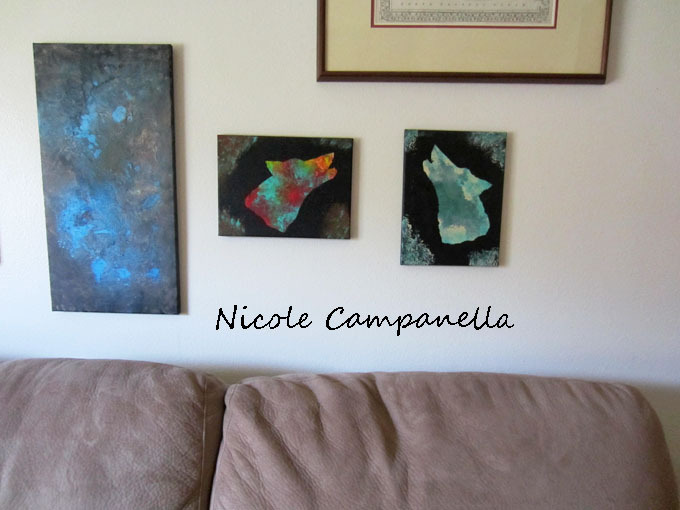 these are all such beautiful projects Nicole! The portraits are so striking. Love the silhouette, and that abstract is super! Have a great weekend and happy PPF! 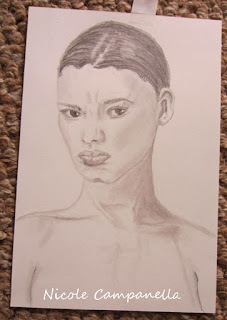 Beautiful feast of art...the faces are fabulous, your expressiveness and shading is gorgeous, both faces are stunning, I especially love the second. and your silhouette wolf is stunning..pure magic and spirit. 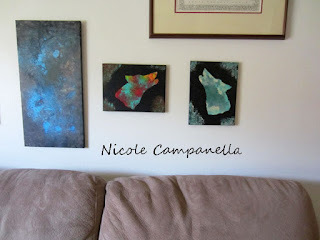 Lovely photo of your art hanging up..awesome! Beautiful pieces, enjoy the art show with your friend! 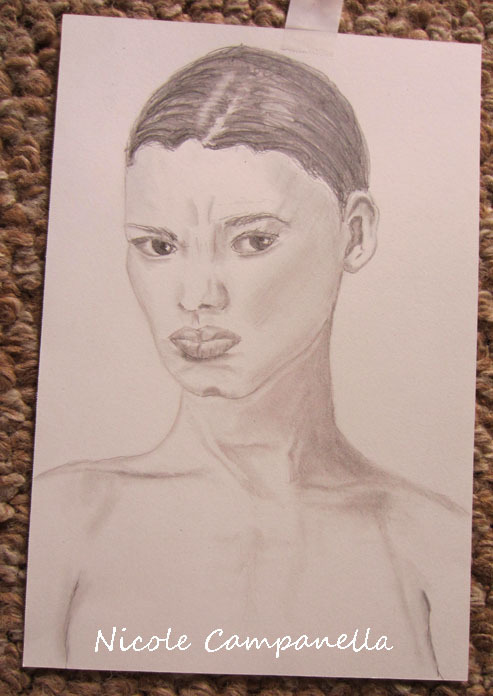 Great art as always, Nicole. Beautiful...you captured such great expressions on the gals too!! Glad your Lupus is being kind these days!! I'm especially loving your abstract at the end, so wonderfully colorful. 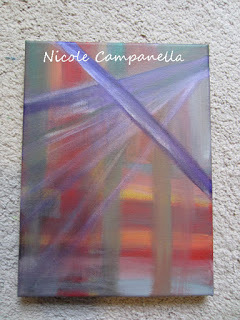 Abstracts are so hard to get balanced, you did amazingly. Gorgeous. Visiting From PPF. Oh, my new blog is now live on my new wordpress site and I'm doing a giveaway tomorrow (Sunday). The giveaway will include a DIY Altoids tin with magnetic half pans, pencil & eraser, Hahnemuhle Grey Book toned paper sketchbook, Micron sigma pens, a Grumbacher watercolor brush and a bee magnet! Hope to see you there! 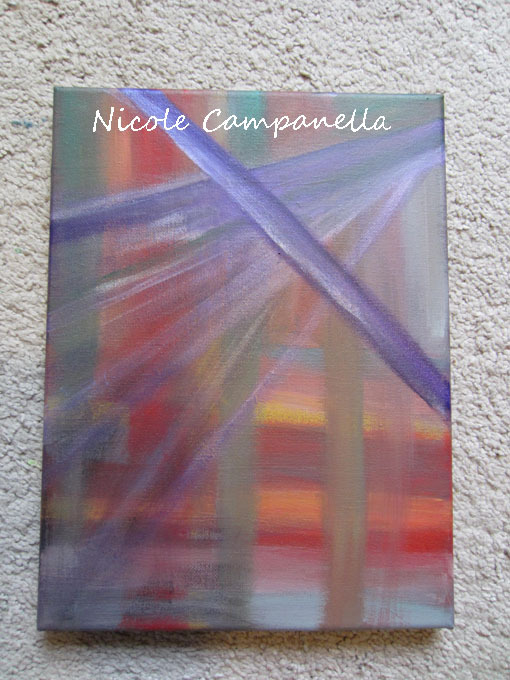 Amazing, amazing pieces of art Nicole!!! I'm happy to hear you are doing ok with your Lupus!! Hope you had a great time at the craft show! Big Hugs!